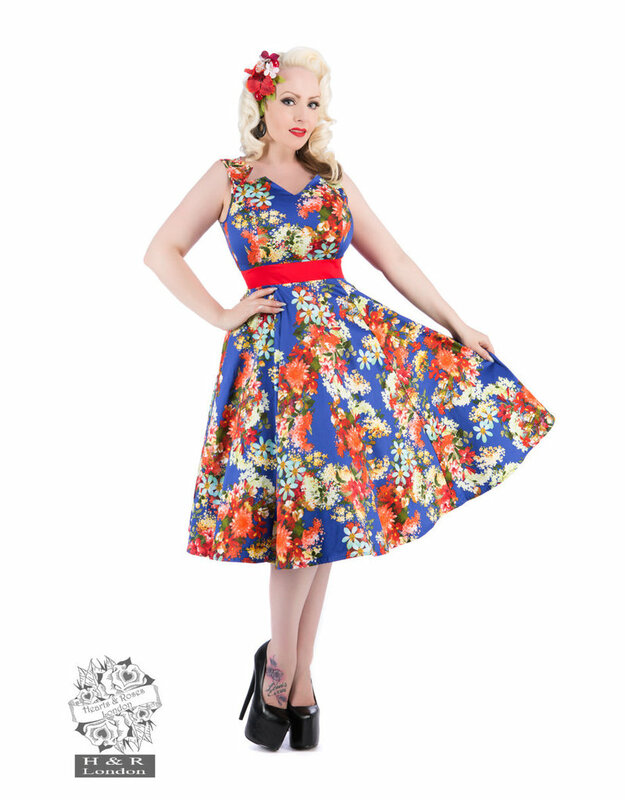 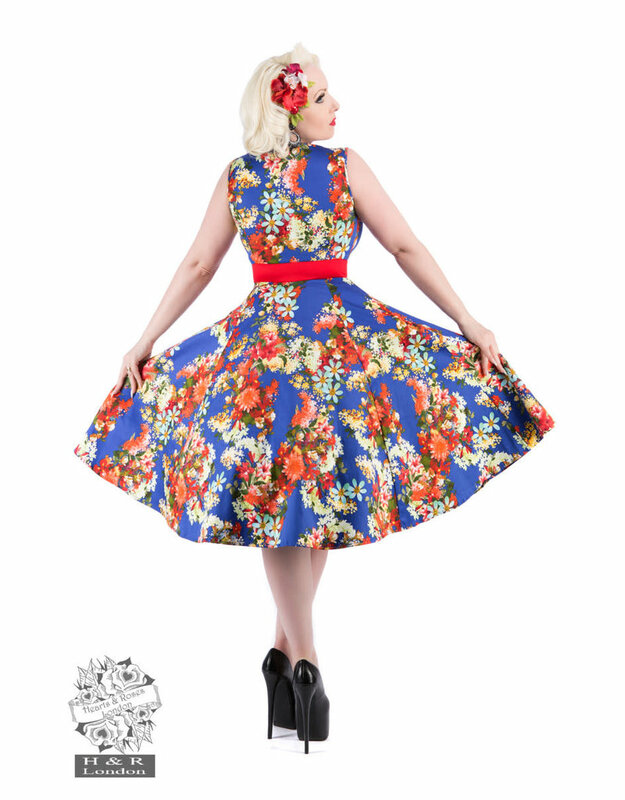 The Royal Blue 50's Georgina Floral Swing Dress is a rhapsody in blue. 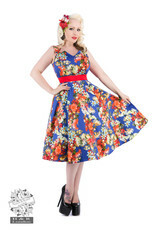 A sleeveless dress with a fitted waist, The Georgina Floral Swing dress features beautiful bouquets of wildflowers throughout, with a V neck with symmetrical side notches. 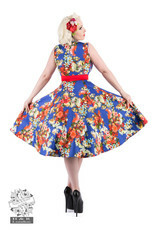 Orange and yellow flowers with sky blue daisies create a stunning floral pattern and the vivid red banded waistline creates a beautiful hourglass. 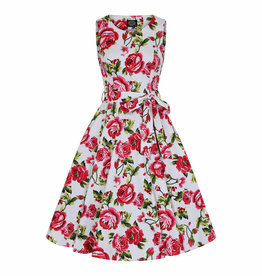 Dress zips up the side, hem hits below the knee.